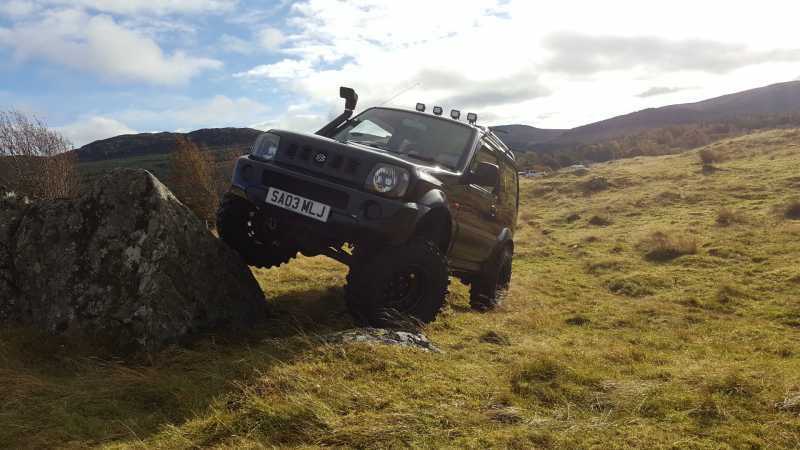 Hi all im still quite new to this forum but i just thought I'd put a post up about my new jimny I've just built up over the last couple of weeks after my blue jim decided it wasn't keen on passing another mot . When i picked it up a few weeks ago it had a 3" lift and a set of 235 75 15 fedral mud terrains and some l.e.d. spot lamps on the roof . 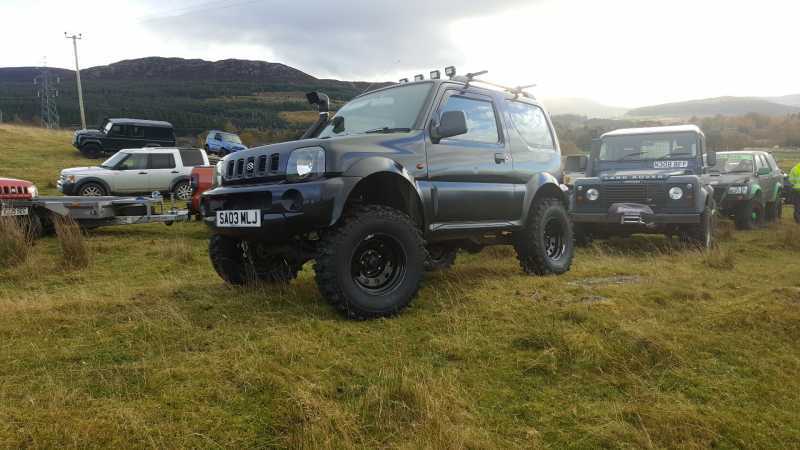 I've got a thing for black Jimnys and that mods list is too cool! Great stuff! 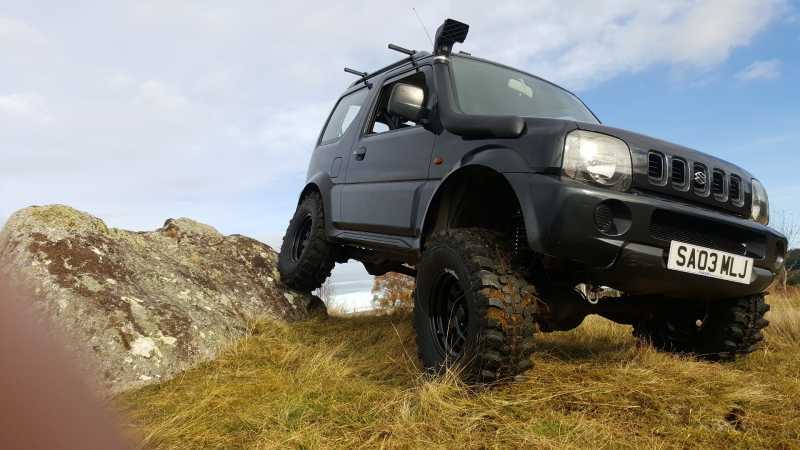 2000 Auto Jimny named Black Widow!